Feels nice to come down from the suites into a lobby that doesn't smell like a casino! The rooms are clean and come equipped with top of the line suite features, like a jacuzzi and an 8-foot projector screen! Along with projector screens, the rooms also come with 42-inch high definition flat screen televisions with premium cable... not that you're going to be spending much time in your room, but you never know! 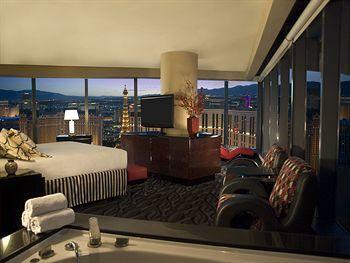 The view from the Elara Las Vegas rooms is one of Casino Boy's favorite parts of the hotel. 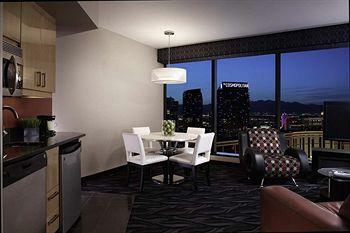 Ceiling-to-floor windows provide views that include the Las Vegas Strip, the desert and/or the mountains! Relax as you look out over the city and get ready for the night. 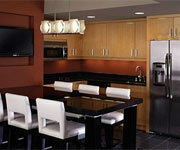 Smaller suites come with kitchenettes but you can upgrade to a larger suite with a full kitchen if you like. Unfortunately, high-speed internet access is not included in the room rate... so if you want to get online to search Cheapo Vegas you'll have to fork over $10 for 24 hours of access. Use your time wisely. Staff is friendly and helpful. No problems here! If you need anything in your rooms, towels, pillows, cheeseburgers, a hug, you name it, just call the front desk and ask. 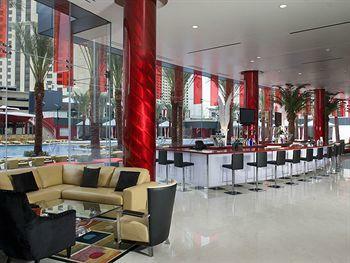 You'll be surprised at how timely and courteous the staff are at Elara Hotel in Vegas. Talk to the concierge if you want to get on the guest list for the best clubs in town! You'll find your standard hair care and body lotion bottles in the rooms at the Elara Hilton Hotel Las Vegas. If you want a bottle of something else, say, a little more alcoholic, you'll need to talk to the kind people at the front desk! 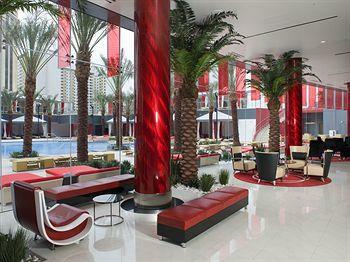 The party type don't frequent the Elara Hotel in Vegas. 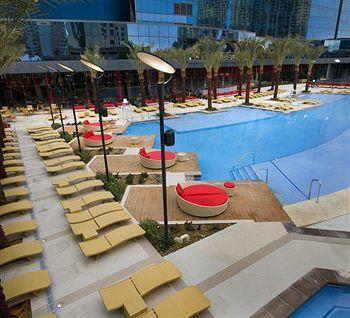 The lack of a casino, nightlife hub and strict pool rules make the Elara Las Vegas a bust for partiers. If you're just looking for a chill spot to stay Off-Strip Las Vegas with your family or a loved one, the Elara is a solid choice! 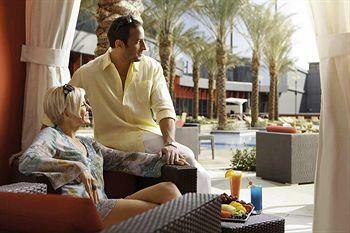 There are a lot of rules at the Elara Hilton Hotel in Vegas pool... and expensive snacks. If you're trying to do day drinking the pool is not the place to do it. Get to the pool early for the best sun or you'll find an abundance of shade from the surrounding buildings. 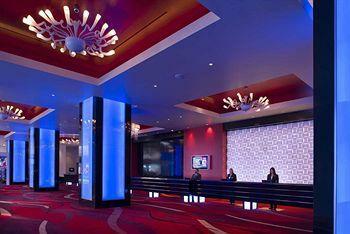 If you're looking for a non-casino, classy suite for a Vegas weekend, the Elara is a premier Off-Strip choice! 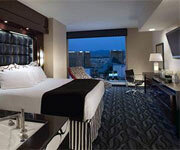 Junior Suites at the Elara Las Vegas come equipped with a king bed and a red-leather sofa bed in the living area. The Junior Suites also come with two 42-inch high definition televisions and remote-controlled curtains! 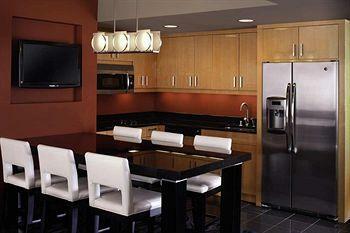 The in-room kitchenette includes a refrigerator, dishware and utensils. Like all the Elara Las Vegas rooms, the high-speed internet isn't free and the room is non-smoking. One Bedroom Suites come with a king bed and a red-leather sofa bed that can be slept on in the living area. The biggest difference between these suites and the Juniors is the kitchen, which has more features in the One Bedroom Suites. 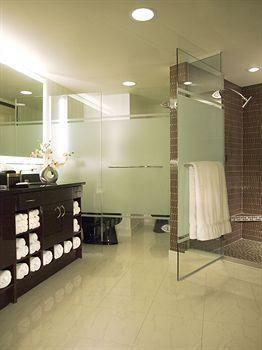 The bathroom has a jetted tub, hair dryer and toiletries, like all other Elara Las Vegas rooms. Also like all other rooms, the One Bedroom Suites have 42-inch high definition TVs, no free internet and are non-smoking! Two Bedroom Suites come with, surprise, two king beds! 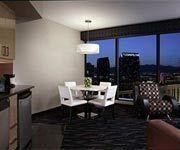 They also have a red-leather sofa bed in the living area and all other standard room features that the Elara Las Vegas provides like in-room kitchen and beautiful, panoramic views of the Strip, mountains and/or desert. The Two Bedroom Suites do come with high definition TVs in the bathroom and dining areas. Upgrade to a Two Bedroom Premier Suite for extra amenities! 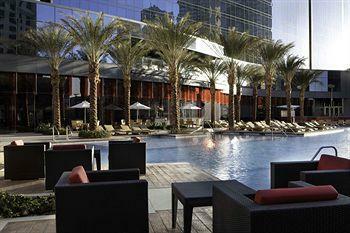 Studios at Elara Hilton Hotel in Vegas are for the traveler who needs little. These rooms come with one king bed, sofa bed, kitchenette and bathroom. There is no living area in the Studio rooms. Similar to all the other rooms at the Elara Hilton Hotel in Vegas, the Studio rooms don't have free high-speed internet or options for smoking rooms!